From the time he was a young man, Cristian "Danny" Dragoi has had one constant in his football life. It didn't matter if he was in New York City playing college soccer for St. John's, or in Italy in Serie C with A.S. Varese 1910, he knew he could always come home to one place. "The Windsor Stars have always been there for me," he said. 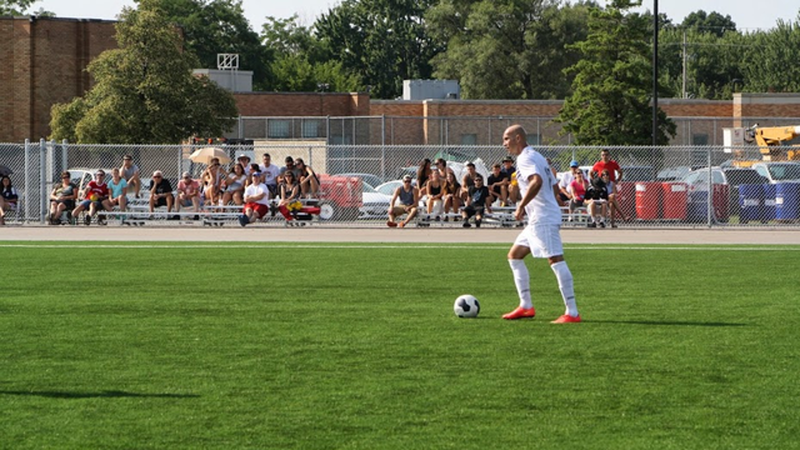 Now, at 32 years of age, Dragoi is hoping that he can give a little back to the Stars as he helps the next generation of Windsor talent grow their game in League1 Ontario. Last week, he demonstrated that he still has a lot to give with a four-goal performance in Windsor's 8-1 dismantling of Kingston. "I love it," he said, of his veteran role with the club. "I love working with the kids. They show up to every game and training eager. It's a joy to work with them." Dragoi takes special pride in representing Windsor. He says that in a league dominated by teams from the Greater Toronto Area it's motivating to prove that the game can be played elsewhere in the province. "We always want to perform for the people from Windsor that come out to watch us," he said. "We take pride in playing for them." So much pride that Dragoi feels compelled to apologize to the fans for the Stars' recent slump. "I have to say 'We're sorry' for not performing as well as we could the last few weeks," he said. "I think we're past that now." Regardless, Dragoi is happy to be part of the League1 launch. He said that he wasn't sure what to expect heading into the season, but has been thrilled by the professionalism and organization of the league. He's especially glad that he is getting a chance to represent a club that has meant so much to him. "I have to thank the Stars for always giving me the opportunity," he said. "Especially Steve Vagnini, Vancho and Phil Rocca. Those guys have been incredible."